We know how stressful traveling with your bike can be, and then trying to pack it yourself without the proper tools and packing materials can make shipping your bike a nightmare, not to mention it could get damaged if it's not done properly. We offer packing and shipping services to keep it easy for you. Just drop off your bike, tell us where you want it to go, when you want it to get there, and we professionally pack the bike and handle all the shipping through BikeFlights.com. 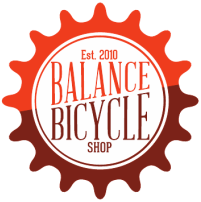 On the flip side, if you need your bike shipped to Richmond, just tell us when it will arrive, when you are coming to pick it up and we will have your bike professionally assembled and ready to be picked up. The labor charge for professionally packing your bike or professionally assembling your bike is $65. Shipping fees will vary based on location, but you can easily check the rates we charge on BikeFlights.com. There will be additional cost for residential delivery, pick up, and optional insurance. Are you shipping the bike out or picking it up fully assembled? Tell us when you are dropping your bike off to be shipped or when you expect your bike will be delivered to us. What kind of bike do you have? Special instructions? Anything else?